It's Party Time! 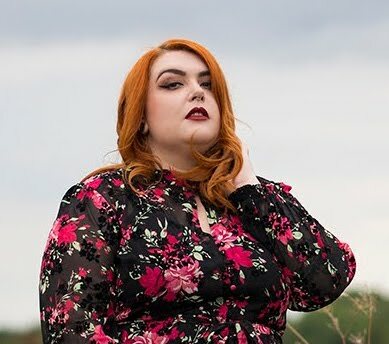 (Nearly...) - Plus Size Party Picks Part One - Yours Clothing - Sugar, Darling? I don't think it's any big secret that I absolutely love a good party dress. If truth be told, when it comes to clothing for a night out or occasion I genuinely wouldn't consider anything but a dress. To be honest, in day to day life it is very very rare that I don't wear a dress... but anway, that festive season is coming upon us quicker than most of us would probably like and to save yourself getting last minute Christmas party outfit stress I thought I'd start doing a few posts featuring some fab celebration worthy styles that would be great for the whole festive party season. I thought I'd start with some of my picks from Yours Clothing who I haven't featured before on the blog. Yours have been around for a good few years now and I own quite a few pieces by them, but for some reason they are all casual items like cardigans and maxi dresses. Having seen their dress selection at the moment I feel absolutely silly that I never think to look to them for an occasion dress, as you'll see from these picks they have some truly gorgeous styles available and they are all so reasonably priced! I'll start with the dresses above, naturally I went with the sparkliest first. I absolutely adore this Black And Gold Sleeveless Lace Peplum Dress - you would only need to add some nice heels and a clutch to this baby, no jewellery needed (unless you want to take it over the top as I always do. This Black And Gold Sequin Shift Dress is just begging to be boogied in too with it's lovely length and cut out back detail. Talking of dresses to be danced in, these fringey numbers are just to die for and will add some decadent Gatsby style chic to your Christmas. This style is available in black or deep red and you need only add some long gold necklace, t-bar heels and a glitzy hair ornament for some all out flapper fabulousness. If you fancy going for something a little more comfortable but still with a special touch of glam why not go for one of these two lovely skater styles. I am absolutely in love with this flocked purple style (but then again I love anything flocked, perhaps I want to look like a chaise lounge) and I think my SIL Steph would look killer in this teal lace 2-in-1 number. 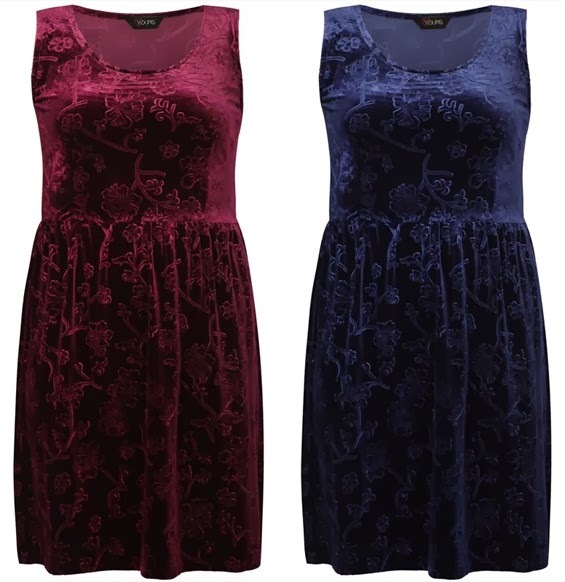 Carrying on my love for upholstery style fabrics are these two beautiful velvety skater dresses. As they're sleeveless they'll be fabulous for when you're getting hot and funky on the dance floor or are sitting demurely on a bar stool in a roasting hot cocktail bar that's full to busting. The deep red is a classic colour for Christmas, but I think this blue is such a lovely shade and would look fabulous with either gold or silver accessories. Last but not least, if you're wanting to inject a bit of fun into your outfit while staying a little glitzy and classy why not go for one of these super cute sleeveless skater dresses in either teal owl print or ivory bird print. The chiffon skirt overlay just screams party and the little gold belt that comes with them is adorable. What's more, they are both currently in the sale so hurry on over to Yours Clothing and grab one for yourself!